For Zack Von Rosenberg and many other baseball players from the state of Louisiana, playing sports at LSU is a life long dream. In this installment of Chasing The Dream, find out why he passed up on this dream to pursue another dream of making it to the major leagues with the Pittsburgh Pirates. For Pittsburgh Pirates prospect Zack Von Rosenberg the name Zack is not only his first name but its a name that has followed him all his life. The young prospect hails from Zachary, Louisiana and as a high schooler was a 3 year star on the Zachary High School baseball team. His stardom at Zachary High School propelled him to the national level. Getting offered a scholarship from in state LSU and attracting many scouts to see his games. In this edition of Chasing The Dream we look back at where Von Rosenberg has been and where he could be headed int he future. During his junior season, Von Rosenberg was already hitting the high 80’s on the radar gun. In the Louisiana state championship game he won the game pitching a complete game shut out for his school. At season’s end Baseball America named him a second-team high school All-American. Another 2nd team All-American that year, Pirates 2011 first round pick Gerrit Cole. As a senior, Von Rosenberg starred not only on the mound but at the plate. When he took the hill Von Rosenberg was unhittable. He finished the season with a 11-1 record with an 0.60 era striking out 141 batters in 93 innings. In the batters box he was equally impressive hitting .489 with 10 home runs and 45 RBI’s. Von Rosenberg once again led his team to the state championships. Like the prior season, Von Rosenberg took the mound and earned the win. Not only did Baseball America again named him second-team All-American but he was also named Gatorade Louisiana Baseball Player of the Year. As Von Rosenberg’s high school career came to a close he prepared himself to live out a life long dream. In the fall Von Rosenberg would not only become a student at LSU but he would also start the next chapter in his career as a member of the LSU baseball team. Due to this strong college commitment many teams felt Von Rosenberg would not sign with them if they selected him in the 2009 MLB draft. Many mock drafts predicted that the tall right hander could be selected at the end of the first rounds or in the supplemental first round. Due to the fear that he may spur MLB teams this never happened. Von Rosenberg’s name was finally called early in the 6th round when the Pittsburgh Pirates selected him as part of an intriguing draft strategy in which they planned on spending big on hard to sign players with strong college commitments. The Pirates plan worked as they not only convinced Von Rosenberg to sign on the dotted line for a reported 1.2 million dollar signing bonus but they inked a number of other high school players such as Zack Dodson, Colton Cain, and Trent Stevenson. After signing with the Pirates Von Rosenberg did not see much immediate action. He spent time with their Gulf Coast League team but only made one appearance for one inning with the team. 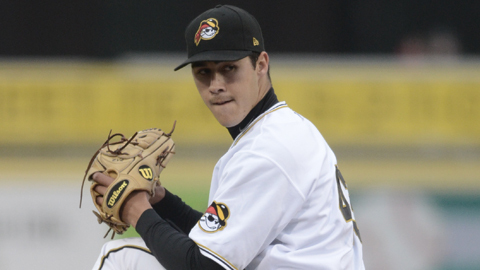 Before 2010 started Von Rosenberg found himself getting a lot of attention, his name could be found on most of the top prospect list for the Pittsburgh Pirates. Baseball America rated him as the Pirates 8th best prospect heading into his first true season of professional action. He did not make his debut in 2010 until mid-season. Instead of starting the season with the a full season class A team he spent the first half of the year in extended spring training working on his game and preparing himself for professional action. 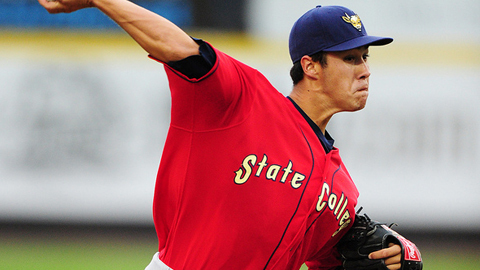 Once the NY-Penn league got underway he was assigned and slotted in the starting rotation. Over the course of the season the right-hander made 13 starts. While his record finished the season at 1-6 he posted a strong ERA of 3.20. He also showed good control walking only 13 batters in 59 innings pitched. As the season came to a close Von Rosenberg was ready for the challenges that faced him at the next level. Entering the 2011 season, Von Rosenberg was assigned to the Pirates class A affiliate the West Virginia Power. The power posed a strong rotation of prospects including Von Rosenberg and his fellow 09 draft mates Colton Cain and Zack Dodson. Also making his debut with the Power was 2010 1st round pick Jameson Taillon. Much buzz would surround the Power and its pitchers during the 2011 season. Von Rosenberg got off to a slow start with the Power and faced some difficulties keeping the baseball down in the strike zone. He worked hard all season long to rectify this problem and as the season wore down he grew more comfortable pitching at the level he was at. Opposing batters slugged 19 home runs out on the righty however just 2 of those home runs came in his final nine starts. He finished the year with a record of 5-9 with a 5.73 ERA. Those numbers however don’t tell the whole story. Von Rosenberg continued making progress and showed excellent control once again. In 125 innings he only walked 23 batters, although he admits that maybe he throws too many strikes at times. Strikeouts which were a big part of his game at the high school level appeared once again as well. He tallied 114 which came to a 8.2 average per 9 innings. Heading into 2012 Von Rosenberg has a lot of positives to build on as well as challenges ahead. He continues to be rated as one of the Pirates top 20 prospects and still has room to grow and develop. While it is yet to be determined, the next stop on his development plan most likely will be the Bradenton Marauders, which is the Pirates advanced class A team. We plan on following Zack every step of the way in 2012 and you can too on twitter! He can be found @ZVR09 and if you want to follow Chasing The Dream we can be found at @CTD_Sypien. What was it like to be drafted? What were you doing when you found out the Pirates selected you? Being Drafted was truly a dream come true and I was actually on the phone with another team at the time I found out the Pirates had drafted me! Before the draft it looked as if you were going to head to LSU to play baseball. Was it hard to pass up the experience of playing College baseball, especially at such a top program like LSU? It was by far the hardest decision I have made in my life to date. Growing up in Louisiana every kid wants to play baseball at LSU. My ultimate goal is to play in the major leagues and I felt that the Pirates are giving me a great opportunity to do that and that is what convinced me to sign professionally. How/What did the Pirates do to convince you to sign with them and forgo playing at LSU? They really did not put too much pressure on me. If there was any pressure I put it on myself. I did make a trip to Pittsburgh before I signed and that did help with the decision but they ultimately left the decision up to me. They knew that I was either going all in for the Pirates organization or all in for LSU. Give us a brief scouting report on yourself – what pitches to do throw and what are your strengths? What philosophy do the Pirate coaches/instructors teach to the pitchers at the levels you have played at. Is there a particular coach/instructor that has really helped you along the way? At some point just about every pitching coach (at the levels I have played at) and coordinators have helped me change or tweak something to improve. The Pirates take pride in pitching and delivering the same message on a consistent basis throughout the entire organization. They are very thorough. Who has been the toughest hitter you have faced in your pro-career? The best hitter I have faced in my career is Jimmy Rollins. Even though technically it did not count because it was extended spring and he was rehabbing. Every at bat was a battle. Playing for the West Virginia Power for a full season you got to experience “The Toast Man” on a regular basis. Any stories or thoughts on getting to experience such a unique fan? Well he has had a few opposing team players yell at him! I can’t think of one story that sticks out right now. He is just a good fan who enjoys heckling the others teams that we played. If you had to select a walk up song today for when you come to bat, what would it be? Who was the biggest jokester in the Power clubhouse last year? There was no one guy really. The were plenty of characters in the West Virginia Clubhouse. A special thanks to Zack for taking some time out of his off-season schedule to sit down and talk a little baseball with us. Once again please give him a follow at @ZVR09 and follow us at @CTD_Sypien as we follow Barrett and others during the 2012 season. For those that don’t know who “The Toast Man” is – this is from Wikipedia. Nice piece. Looking forward to the Toast Man interview. Zack was born and raised in Lake Charles,LA for 15 years. He went 11 and 1 as a freshman at Barbe High School and won his first of 4 Louisiana State Baseball Championships. In 2006 his family moved to Zachary, LA where he won the last 3.